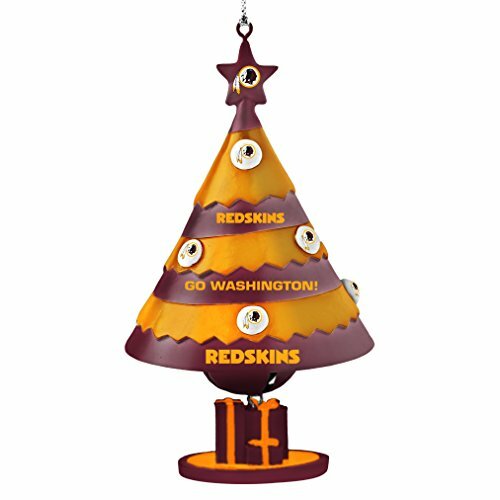 Washington Redskins Christmas Tree Ornaments done in the burgundy and gold colors of the team are great for holiday decorating. 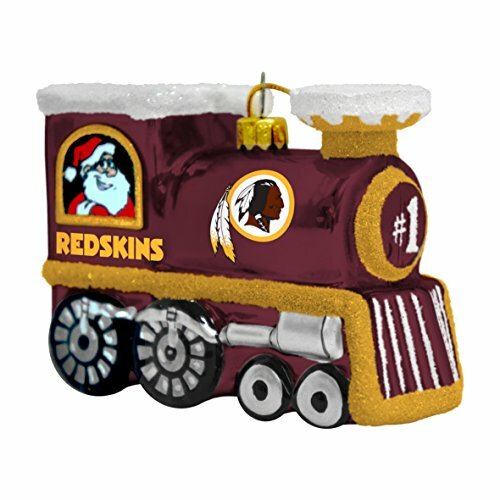 The burgundy pops and the gold accents it perfectly. 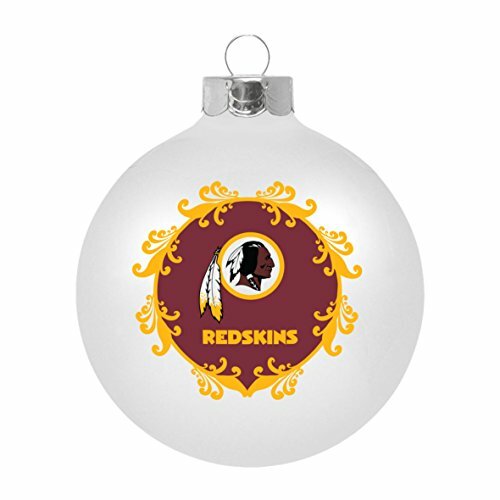 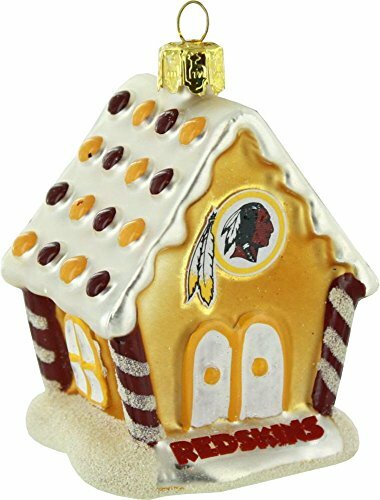 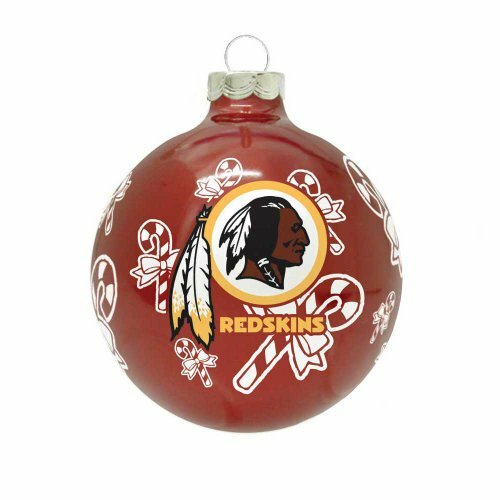 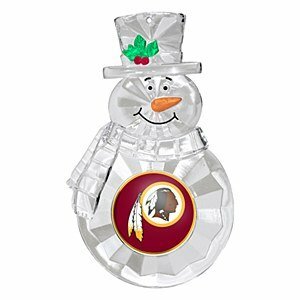 Speaking of gold accents, gold ball ornaments and gold garland or beads would go great with the Redskins ornaments. 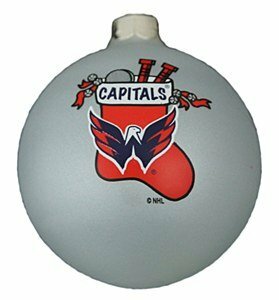 Quite Christmasy and it would look wonderful. 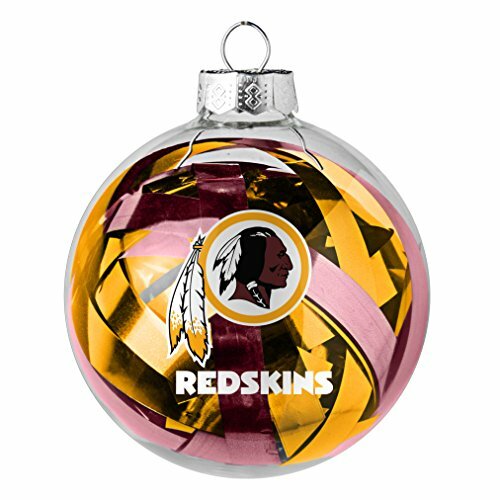 This particular ornament is a tinsel ball which is a clear glass globe filled with burgundy and gold mylar ribbons. 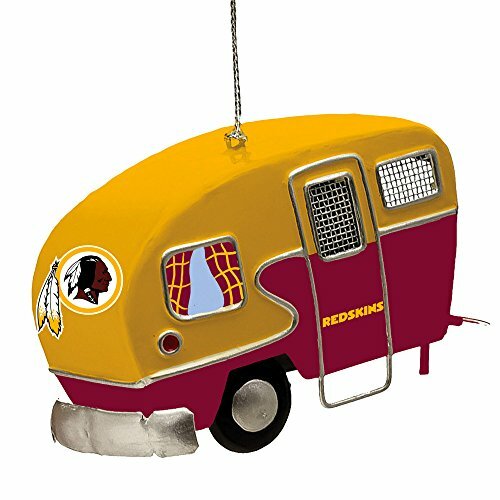 The Redskins logo is on the front. 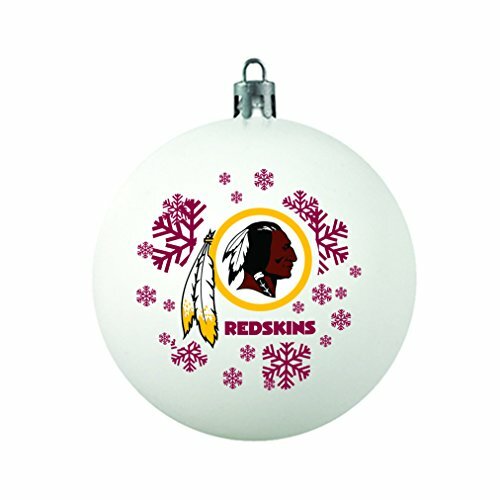 The burgundy Redskins logo really shows up well on these white ornaments. 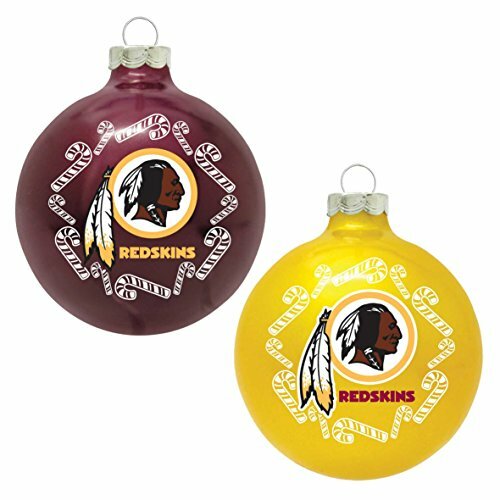 These would look great on a green tree. 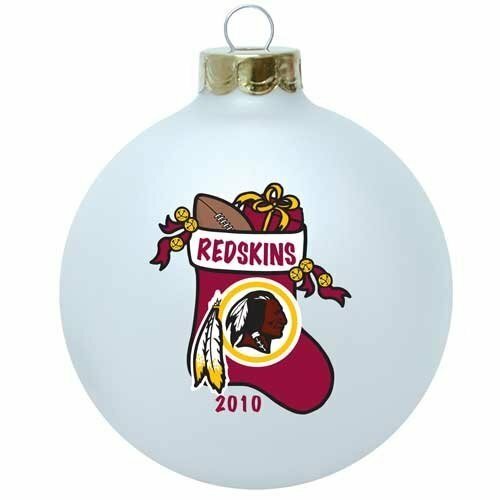 Mix in other white ornaments or garland. 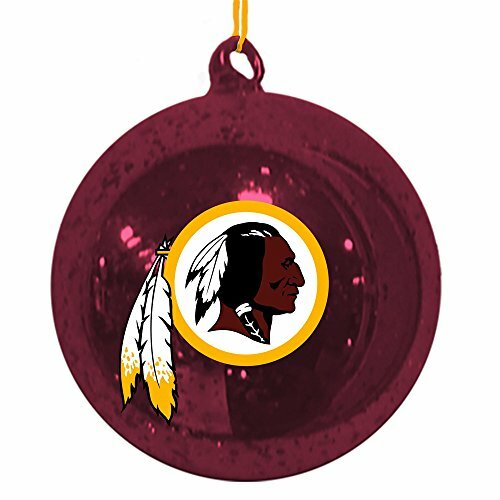 Burgundy ornaments would go well too. 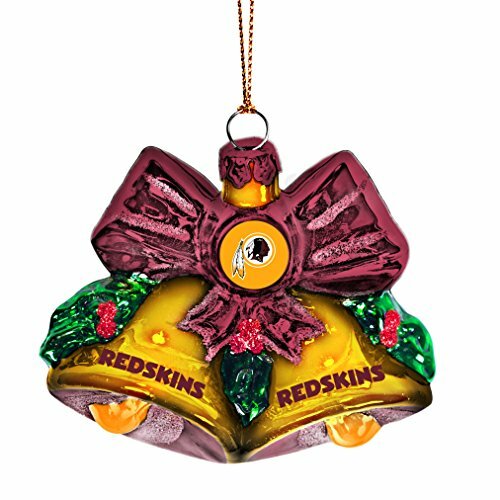 So pretty and colorful to put you into a Christmas mood. 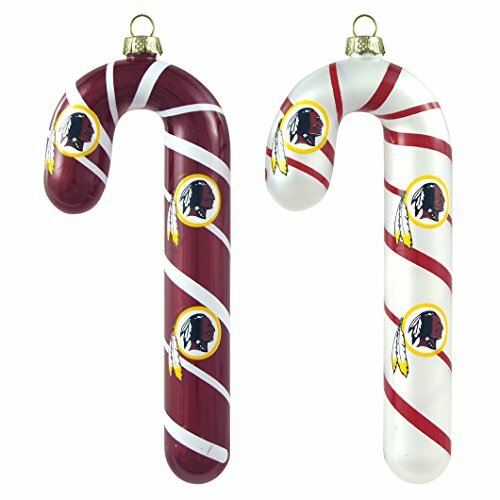 Gold, burgundy, bells, and candy canes! 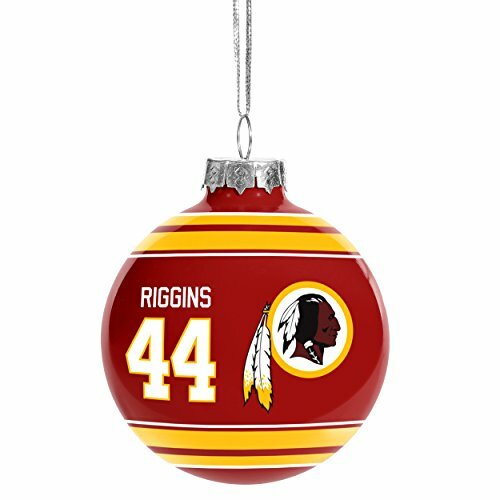 Novelty ornaments add some fun to the mix. 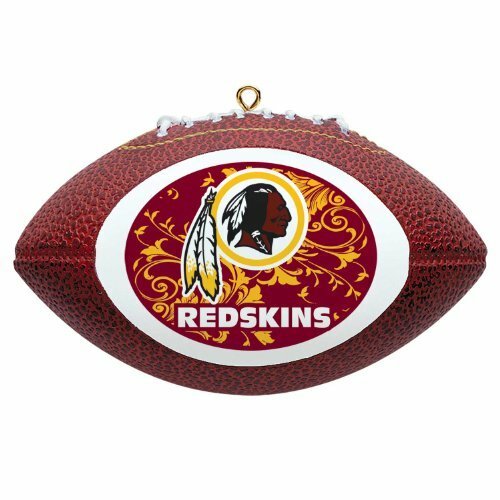 The Washington Redskins are the third most valuable team in the NFL after the Cowboys and the Patriots, this according to Forbes. 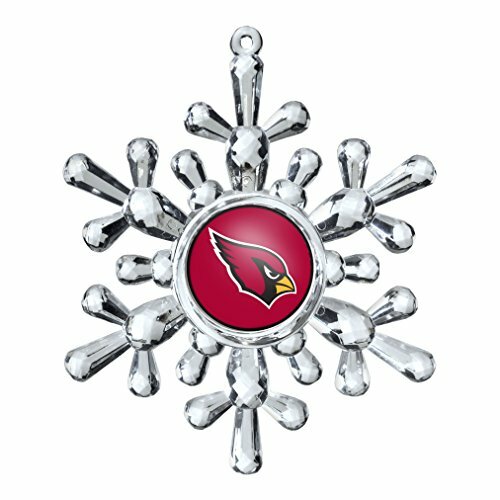 They were the first NFL team to have a marching band and a fight song. 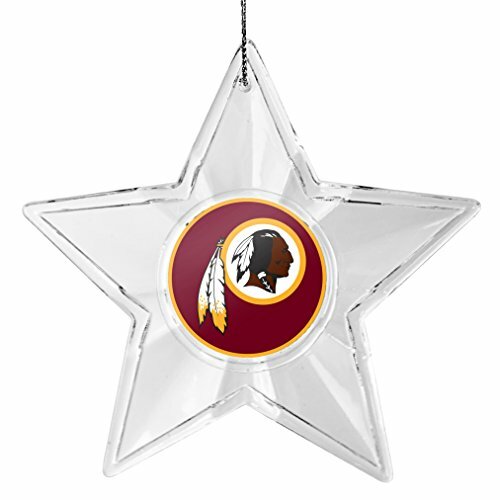 The name and the logo of the Redskins has been the subject of much controversy with accusations of racism against Native Americans. 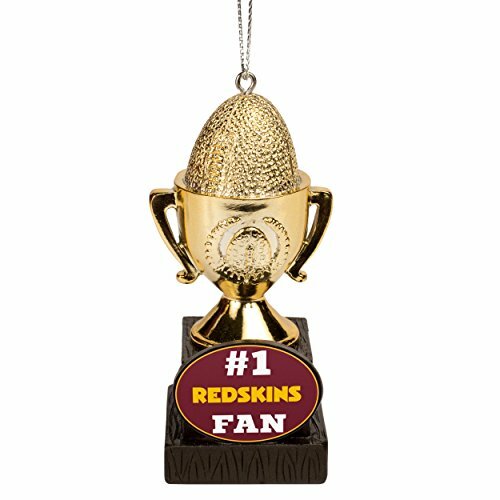 Polls show that a majority of fans want to keep the name, so the controversy continues.